Are you looking to expand your business in a more public way? Perhaps you want to see what other companies in your field are doing and how they’re marketing themselves. That’s the perfect reason to set up for a trade show. Trade shows are wonderful ways to assess what your competition is up to, but it’s more than figuring out how to be better than them. You should focus on your display booth, how it allows you to connect with potential clients and how you can start a conversation with them, turning them into future loyal customers. 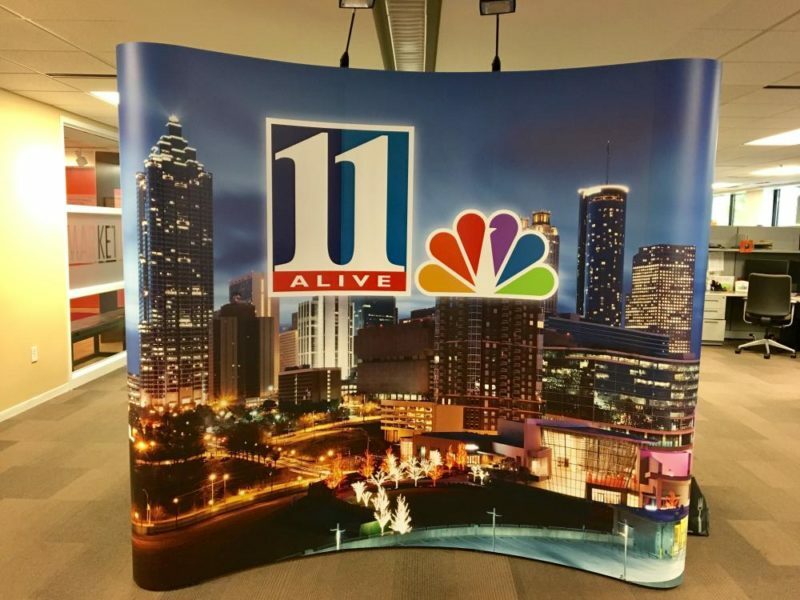 If your business is located in the counties of Cobb, Fulton or Cherokee and you need help setting up a brand new trade show display booth, our studio is ready to help. Let’s get started in expanding your business today! You can select as many options as you want, and we’ll work to make them all perfectly branded for your needs. Not only do we focus on the visibility of your setup, but we also value four different characteristics to create a successful trade show display booth — versatility, durability, portability and ease of assembly. To create versatile selections, SpeedPro has crafted design options that can be used in indoor and outdoor settings. Banners and tents can be applied in either manner, increasing the ability for you to use them over and over. 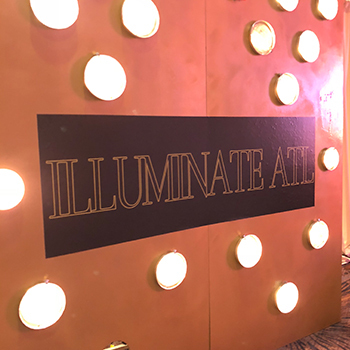 Our table toppers can be versatile graphics too — not only can they be placed on top of tables as cover, but they can also be hung up and used as a backdrop, giving your display booth the look you want. Many of our products are made out of vinyl, a durable and long-lasting material. 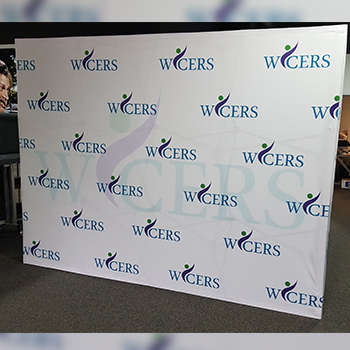 Our banners can withstand weather elements, while our backlit graphics can be displayed without wear and tear. Our fade-resistant inks also print vividly and beautifully on the vinyl, ensuring a crisp and clear image for years and years. Some of our portable options include our tents and retractable banners, as they can easily collapse down into their metal frames. We even provide a carrying case for the collapsed tent! And even more exciting is the fact that our display features do not require tools to assemble. 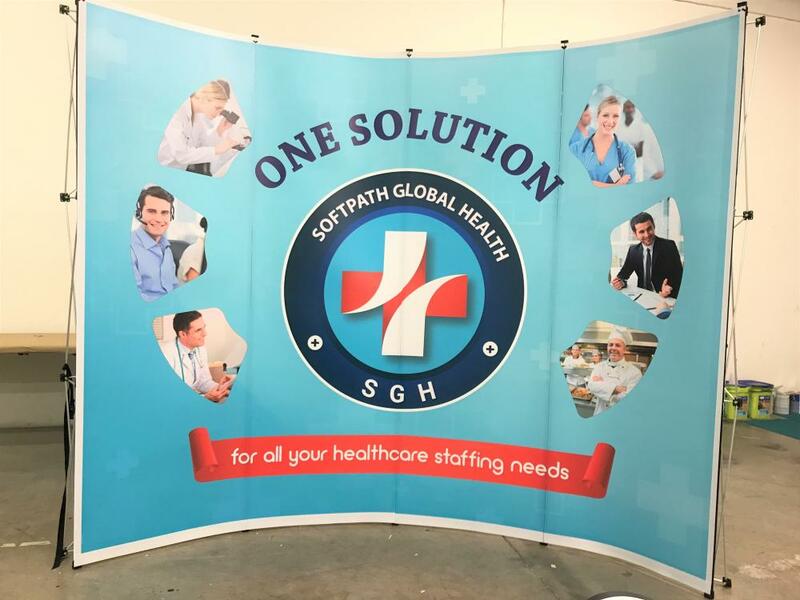 You can snap and lock your display into place and just as easily take it down, which allows you to start your day stress-free and continue to your next trade show with ease. 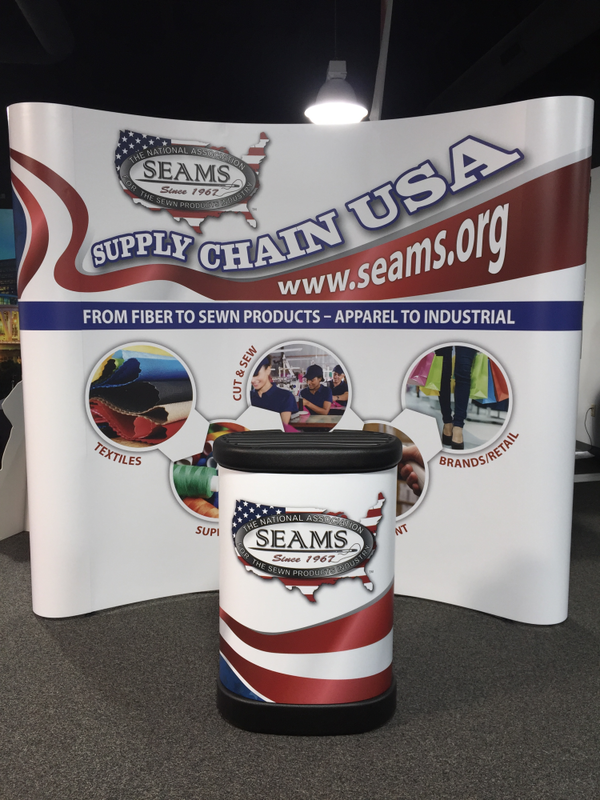 If you’re looking for assistance in creating a brand new trade show display booth that will win over new customers, contact our studio today! We’ll quickly set up a consultation appointment to review your business and branding needs.